I’m going to go out on a limb and guess that you want to get more traffic to your website. If my guess is correct, then there’s a reason for you to keep reading. Today we’ll go over a handful of SEO tips by showing you some of the more common mistakes that are probably decreasing the amount of traffic you’re getting from Google. The following 9 SEO mistakes, from URLs, web design, and the different issues with content are all mistakes preventing you from being placed at the top of search engine results. With each mistake comes a way to fix the mistake. Rest assured that none of the solutions to these nightmarish SEO mistakes require you to go out and hire a guru. Make sure to not only read the post, but also implement these SEO tips. All of the tips in this post can be done on your own with a little patience and time. Just before we expand on the mistakes that are hurting your chances of being placed on the first page of SERPs, the first thing you need to make sure that your site is actually being crawled by Googlebot (Google’s crawler) and other search engine webmaster tools. Now, let’s begin! If having a mobile website was highly recommended in 2015, in 2016 that is now mandatory. This is less of an SEO tip, and more of a rule. Mobile commerce makes up 40% of all eCommerce sales! On Black Friday, over 35% of all purchases were made on mobile devices, (according to IBM). Aside from users spending more time on mobile devices, which in itself already affects your SEO, Google stated, almost a year ago, that they would now use “mobile-friendliness” as a criteria for their search rankings. What is considered to be “mobile-friendliness”? It’s simply a web store that modifies its appearance for a visitor entering the site from either a smartphone or a tablet. Here are two options to fix this killer mistake that is no doubt having a negative impact on the amount of traffic Google is sending your way. Fix I: Create a separate site for mobile. Separate sites for mobile and computer means that your store has two domains: m.[YourURL].com (mobile) and YourURL.com. 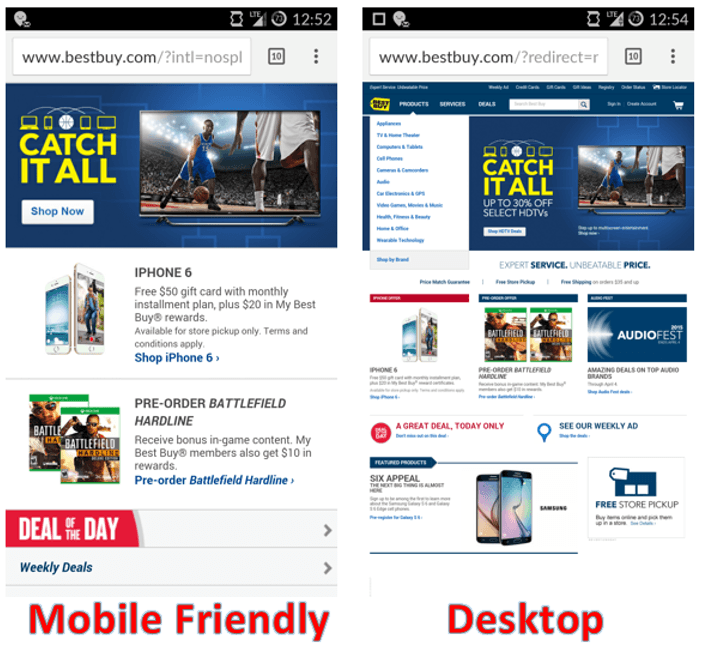 Fix II: Make your site responsive so that when a person enters your site from a mobile device, there is an automatic ‘fix’ to the appropriate layout, based on the size of the shopper’s browser. If you only act on one of the SEO tips offered in this post, it better be this one if you don’t have a mobile-friendly website! If you are using Magento, take a look at some of these extension that increase mobile functionality: One Page Checkout, Shopgate, & Responsive Custom Menu. eCommerce websites using WooCommerce should do their research on these apps: WP Mobile Detector, WP Mobile Edition, and WPtouch. If you are not checking the state of your links – both the inbound and outbound links – every once in a while, then odds are that you’ve got at least one broken link. Your site and sites you link to change, even if it is just a slight change, and that can lead to links that lead to nowhere. That’s a broken link: a hyperlink that no longer points to its intended destination. Although this is not the most damaging SEO mistake, it is one of the simplest and easiest SEO tips to implement. Why not spend a few minutes checking your links every now and then? Once a new visitor lands on a 404 page, are they still going to trust you? Will they go back to your site? Will they trust your online authority to continue clicking on more links? Tricky questions, that you’re better off not dealing with. You can easily check if you have broken links by using one of the web tools found when running a Google search for “broken link checker”. Most eCommerce platforms also have plugins/apps that run this test for you. First things first, to have enough content, you don’t have to add a blog to your site. 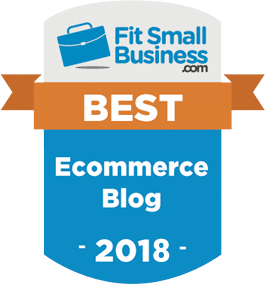 If you do want to add a blog to your eCommerce website, then take note of both of these articles: The ABC’s of Blogging for eCommerce: Why it’s Important and How to Get Started and 5 Effective Ways to Increase Online Sales With a Blog. 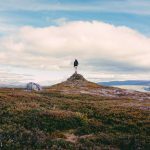 What is a lack of content and how do you fix it? A lack of content refers to not having enough content for crawlers to realize what is actually on your page. As much as images and/or video are important to finalizing a sale and triggering the shopper’s attention, those two types of media aren’t able to tell Google what is on the page or its quality. That’s where written content steps in, both on your category pages and product pages. Note: Regarding your images/photos, make sure that you’ve added ‘Alt Tags’. To give your page a shot at getting more traffic from Google (also the images search), you must use ‘alt text’ to describe, with the proper keywords, what the person will see. This is the battle between quality and quantity. Because you are also balancing the needs of customers, you don’t want to add more written content than is needed. If you were thinking to yourself that it might be a challenge to write 300 words on your “pants” category page, you’re not alone. This exact question was recently examined by Joost de Valk of Yoast SEO. Take a look at the short clip. Regardless of whether you are going to try to optimize the category page or the product page, make sure to try to add a bare minimum of a couple sentences to the one you are not optimizing (fewer than 300 words). Pro Tip: One of the best ways to add high-quality content to your pages is via product reviews. This is not just a SEO tip, but also a general eCommerce tip. It’s perfect, and actually works better than I could have ever imagined. The [specific product name] is awesome, and works better than I could have ever imagined. Which looks better? Probably the second one, and it is also the type of review that can improve your SEO. Product reviews that improve SEO need to look more like the second bullet point. Duplicate content can refer to both, (1) multiple sites on the world wide web displaying the same content and (2) duplicate content of your own content (the same exact content more than once on your site). This second type of duplicate content (on-site) is a SEO mistake that you need to fix sooner rather than later. Google Doesn’t know what to show the person making that search query and as a result the Googlebot has to guess which of the different pages is the most relevant. Although Google is aware that duplicate content is very common, they still use it as a ranking criteria. Google (and others) don’t know which version of the content is the original and should be included in the indices. Search engines don’t know if the link authority associated with the content should go to the one page or separated by pages (all pages with the duplicate content). Google and others don’t know which variation should be displayed for relevant search queries. As such, they only penalize sites that create multiple content in hopes of manipulating Google’s search results. For your own good, you should still take steps to prevent duplicate on-site content. Fix I: Add more unique content to each page with the supposed duplicate content, so that the ratio of duplication is minimal. Fix II: Use rel=canonical to align duplicate categories. Canonical URLs can help Google discover and index the important pages of your eCommerce website. 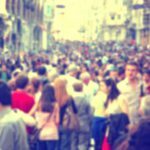 Example: You want https://blog.example.com/category/product-name/ to be the preferred URL of more than just that page (let’s say for another page on your site with the same content). In order to avoid any harm from the duplicate content, you can ‘teach’ the search engine to only direct traffic to the above URL. This indicates the preferred URL to use to access the green dress post. More from Google on Canonical URLs (a bit tricky): Use Canonical URLs. Fix III: Use Search Console to tell Google your preferred domain (with or without ‘WWW’). We don’t think you are copying anyone else’s content so we won’t get into that, but what is a very common mistake that leads to less than positive SEO results (no search traffic for you) is duplicate content on product pages. The simplest and most common instance is a copied description from the manufacturer. It’s not that just you and the manufacturer have the same content. It’s that you and a few others (who knows how many) have the same copy for the same products. As more pages show the same content, your duplicate content will just get more spam points (Google sees someone trying to manipulate the system). This might be the simplest fix for all of the SEO mistakes in this post as you don’t need to do anything technical. All you need to do is take some time to create unique content. Note: You can set a page with duplicate content (or any other page) to ‘no-index’, however this is quite risky, and needs to be done precisely or you could do exponentially more harm than good. 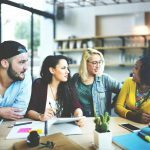 In sales, there is one basic element that rings true in regards to the conversation/relationship between the business and the customer: being relevant. The second your business stops being relevant to your customers is the second you start losing momentum and credibility with customers. With that in mind, understand that ranking high for a keyword doesn’t mean all that much if that keyword is not relevant to your business/products/buyer persona, and if you are ranking for a keyword that no one is looking for. Would you rather own 100% of a company worth nothing or 10% of a company worth millions? Think quality and not quantity. Being first means nothing if it brings no results (a company worth nothing). Ranking for a keyword or phrase that is not generating shoppers to your site isn’t taking you places, and if anything, means that you are probably also hurting your own sales with incorrect product descriptions. The dotted line does not mean that absolutely no one searched the term, but it is a low quantity of searches. 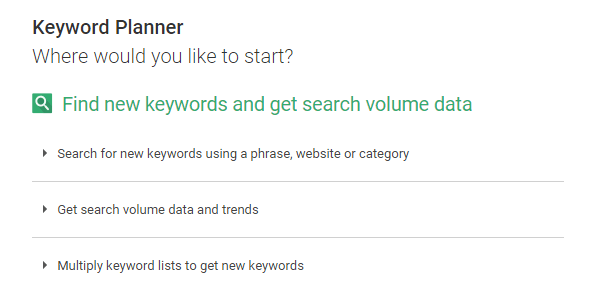 Fix I: Use Google Keyword Planner in order to discover the accurate search volume per keyword. Just click “Get search volume…”, add your search terms, select ‘search’, and view the results. You don’t have to only try to rank for the most searched keywords. You can try to outrank the rest of the competition on a medium-volume searched term. Your call, just be sure there is more than one person searching. 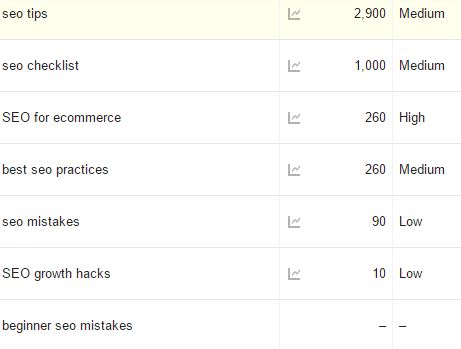 Fix II: Use Google Trends to see the trends around the keywords you are trying to rank for. A five minute session on Google Trends can clearly show you the changes in the popularity of the keywords so that you can see what keyword is trending up and which ones are trending down. 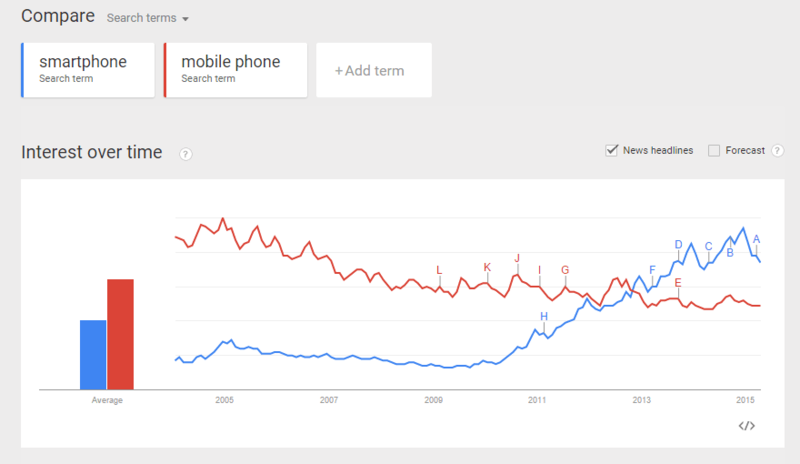 While “mobile phone” might have a higher search volume in 2011, “smartphone” was on the rise. As a result, the better keyword to try to rank for was smartphone. Trying to rank for a keyword falling in search volume is questionable (even if there are still searches). Who knows what’ll be a month or two later. Fix III: Use Google Webmaster Tools to know which keywords are actually working for you. Use the “Search Queries” option to see the Google search terms that driven traffic to one of your pages. Fix IV: Yes Incognito Window (browsing Google as a ‘ghost’) can be used to help you find the relevant keywords for your eCommerce website. This can help you rank for the right keyword and escape from the bad ones (no one is searching for). Use the autofill suggestions from Google to do better keyword research. These types of suggestions need to be leveraged in your SEO. They are phrased exactly as people search for them! You can get more information on how to use all four of these solutions as well as Google Analytics in our post: 5 Free Google SEO Tools Plus Best Practices. If you are serious about taking your SEO practices to the next level, that is a must read! Everyone knows that Google uses keywords as one of their criteria in creating their SERPs. So that means you can just add the keyword so that it accounts for 25% of all of the words on a page. That would be killer. Did you think Google would really let you ‘win’ like that? Aside from creating content that’ll be close to unreadable (imagine if every fourth word was the same keyword?! ), Google will penalize your website. So you get no traffic and those coming to your site from other channels will just be repelled by your unattractive, computer-like content. There is no concrete solution or perfect keyword density that search engines love. Here’s the head of Google’s head of search spam on keyword density. I recommend at least tuning into the first minute. Google wants to send people to websites that’ll provide visitors with the best user experience. One of the criteria used to decide whether or not a website offers an above average experience for a given page or site is by analyzing URLs. Which would Google rank higher (based solely on URLs)? The latter URL, also referred to (in SEO language) as a ‘speaking URL’ gives your pages more opportunities to outrank the competition. Now, having the type of URL in the first bullet point won’t lead to penalties but it won’t lead to getting you listed first or second in search results. A speaking URL is an opportunity to add relevant keywords without being a spammer. Why would you pass on such an opportunity? To perfect the state of URLs for search engines, take a look at Rand Fishkin’s guide, “15 SEO Best Practices for Structuring URLs”. If you thought that HTTPS and SSL were only for security and customer trust, here’s a newsflash: since 2014 Google has taken HTTPs and SSL as Google ranking signals. Encrypting your website is flat out good for SEO. This is simple, and just a bit more than a purchase away. If you are using Shopify, you can encrypt your web store with them. For anyone using a different eCommerce platform, you can take a look at Let’s Encrypt or another online solution. You know what you need to keep an eye on. 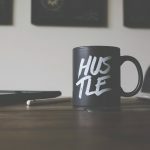 Take the SEO tips offered in this post, open your website, and start using the solutions offered here to step up your game. If you won’t do it, don’t worry your competitors will thank you. With Google accounting for 90% of all search traffic, getting better results (i.e. more traffic) from Google is critical to your business. SEO is a process, and not a to-do list that you can put off for a year. To create the ultimate user experience throughout your web store, running SEO checkups on your website on a constant basis would be a wise move (and one you’ll be happy you made). Speaking of traffic, have you tried Traffic Booster? 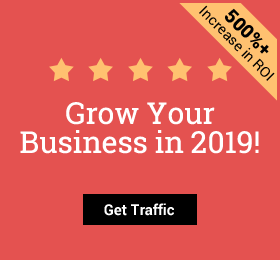 You do know that one merchant earned a 450% ROI via Traffic Booster? Ty is a digital marketing enthusiast that can't get enough social media marketing and content marketing. He is the inbound marketing manager at StoreYa where he spends his days searching for the newest social marketing scoop and creating amazingly awesome content. If you’d like to chat with him, feel free to connect with him on any social platform. Great post! Really appreciate seeing all of this information one place. Also, make sense about categories and tags. Thanks, I’m glad it helped you!